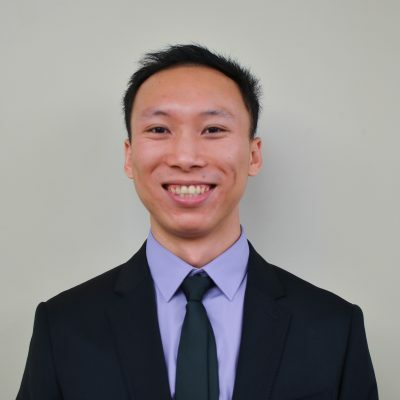 For graduate and international students looking for career advice but not sure where to turn, Caleb Yu is available to help. In January, Yu began a joint appointment between the Graduate School and Career Services as the Graduate and International Student Career Advisor. In this role, Yu helps students throughout all steps of the career-finding process, from general career exploration to fine-tuning a resume or cover letter. Students are encouraged to schedule one-on-one appointments with Yu to discuss any career-related questions or concerns. In addition to appointments, Yu plans to organize workshops for graduate students throughout the semester. Before accepting this job at Cornell, Yu worked for an international student program at Northeastern University, followed by work in international K-12 education and human resources for a start-up company in Boston, and later freelance human resources operations consulting. When it comes to serving the international student body, Yu says his experiences in human resources have prepared him with several important skills, including those gained from the experience of working with immigration attorneys. He handled immigration and work authorization cases for both international employees seeking U.S. jobs as well as U.S. citizens seeking opportunities in other countries. Yu is familiar with these processes not only through his work experiences, but by having been born in Xiamen, China before moving to the U.S. later in life for schooling. Yu earned both his bachelor’s degree in organizational leadership and masters in organizational communication with a concentration in human resources management from Northeastern University in Boston. “I love working with people, especially people coming from different cultural backgrounds. This position allows me this opportunity,” he said. Students interested in scheduling an appointment with Yu can call the Career Services front desk at 607-255-5296 or email Yu directly at ry274@cornell.edu. Updates for upcoming workshops will be published in Graduate School Announcements. “I hope that I can bring hope and encouragement to Cornell students,” Yu said. Katya Hrichak is a communications assistant in the Graduate School.